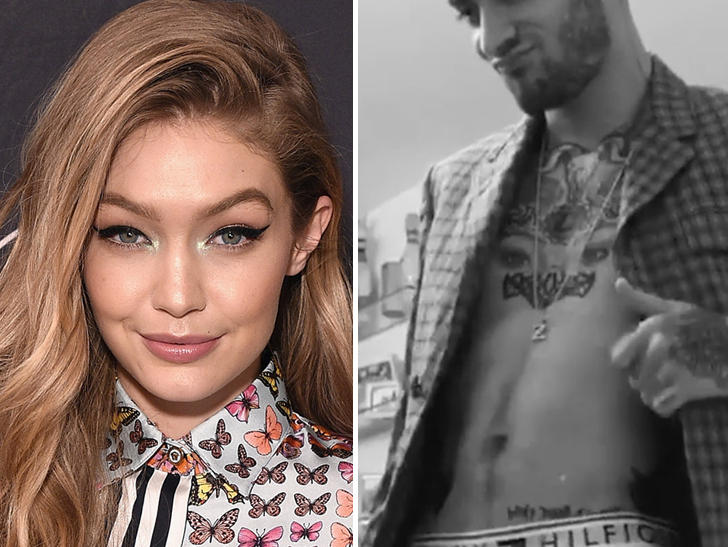 Zayn Malik‘s now under the watchful eyes of Gigi Hadid … if that new ink’s really her eyes tattooed on his chest. The former 1D singer celebrated his 25th birthday over the weekend and Gigi posted this video of her BF … shirtless and bustin’ a move. But a closer inspection of his chest (not that we needed an excuse) shows off the new eyes tattoo that looks eerily similar to Gigi’s. Look at ’em side-by-side … the resemblance is uncanny. Eye think we’ve got a winner.